(June 17, 2013) – BuySoundtrax Records is proud to announce the release of Star Trek: Music from the Video Games, available digitally on Wednesday, June 19th and in stores and from www.buysoundtrax.com the week of July 1, 2013. The recording was produced, arranged, and performed by Dominik Hauser. 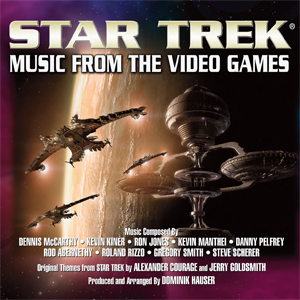 Star Trek: Music from the Video Games will be available digitally on June 19th and in stores, and directly from BuySoundtrax the week of July 1, 2013. Video game music is underrated.